Pack of 5 colours to transform your 3D Prints. The liquid has strong adhesion that can be used on both ABS and PLA surfaces. It matches perfectly with the objects printed by Colido 3D Printers. The surface coating liquid is easy to use. And since the liquid is environmental friendly and non-toxic, it is safe for everyone to use. 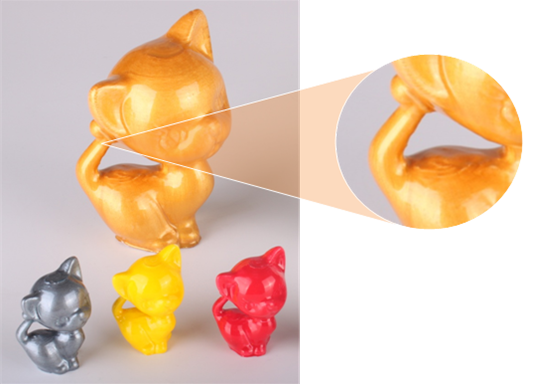 Post-processing is an important part of 3D printing. A printed object may not 100% match your needs, either on print quality or colours. Colido surface coating liquid allows you to beautify your object in an easy way – just use your brush and paint the liquid on your objects.